Are any of you darlings into K-Pop? Or have you only dabbled in the odd bit of Gangnam Style-ing? Either way, you might have noticed how polished and beautiful and clear-of-skin those K-Pop girls are. I know I’m jealous. Welp, it’s because of the kickass potions and lotions they use. For the longest time, Korean and east asian cosmetics lines have been out of reach of us poor schmucks in the west, which is a crying shame. However, the tide is turning, and more and more lines are becoming available certainly in america, if not globally. Regardless, there is one surefire way you can get your mitts on all those Korean goodies. That source is Memebox. 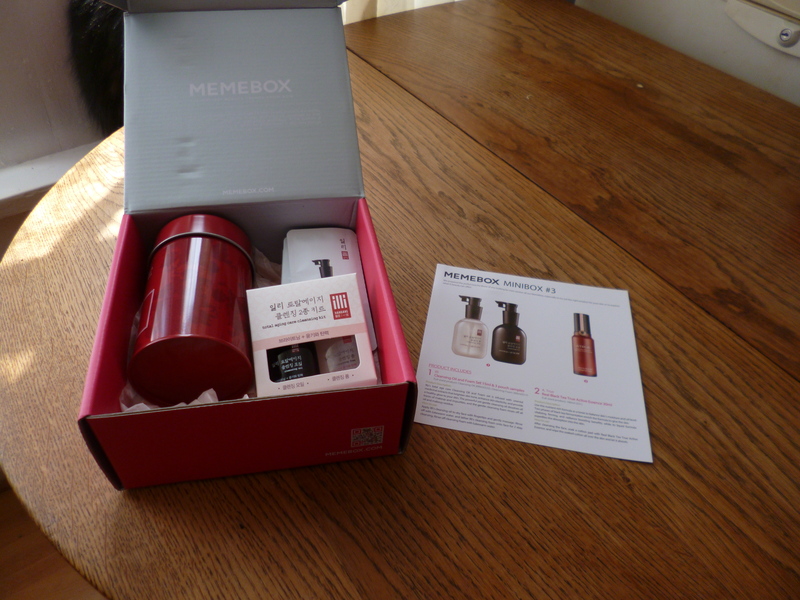 Memebox is a beauty box service rather like Latest in Beauty, except on hyperdrive, and for Korean cosmetics. If you want a specific box to target one body part, one look or instead a mixed basket, there’s a box for that, and they release dozens a month, not to mention their well stocked online store for individual items. Formerly only available in the states, Memebox have opened their doors to the world, and now loads of locations can enjoy what they have to offer. On the outside, their myriad options can seem kind of pricey, with boxes ranging in price from around $20 to $30 dollars, plus shipping. However, with the exchange rate as it is, that’s not really much pricier than a UK based box like LIB, and the contents seem to be full size products. 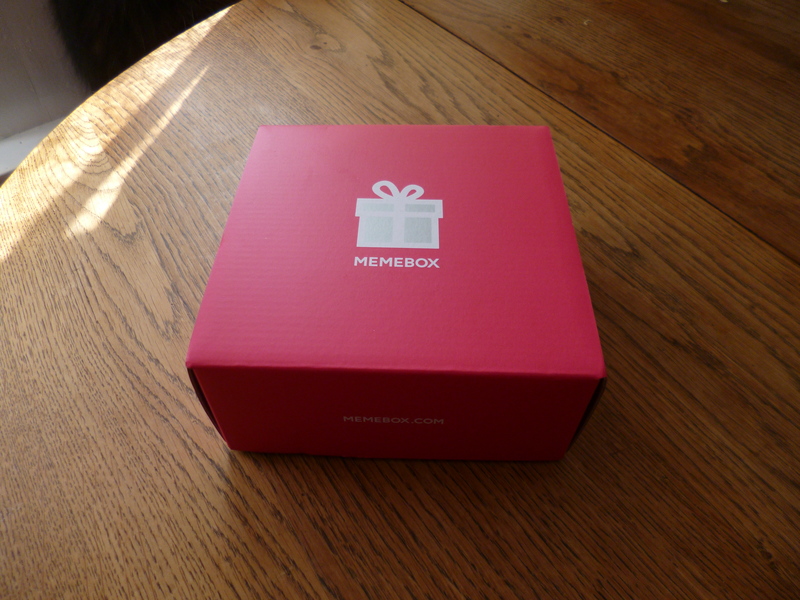 To try Memebox out, I chose the Memebox Mini 3. Memebox Minis are few and far between, but they’re actually a lot more like a Birchbox. Each one contains approximately 5 products to try in deluxe sample size. These are the smallest and cheapest option that Memebox offers, at $15, or £7.90 in UK money, which also includes the shipping. That’s pretty darn good. I managed to order Memebox Mini #3 back in march when it was announced. I had to wait nearly two months until mid june for the box to be released and then shipped, but the box arrived just before I went on holiday (#swbholibobs), and I tried out all the products while I was away. 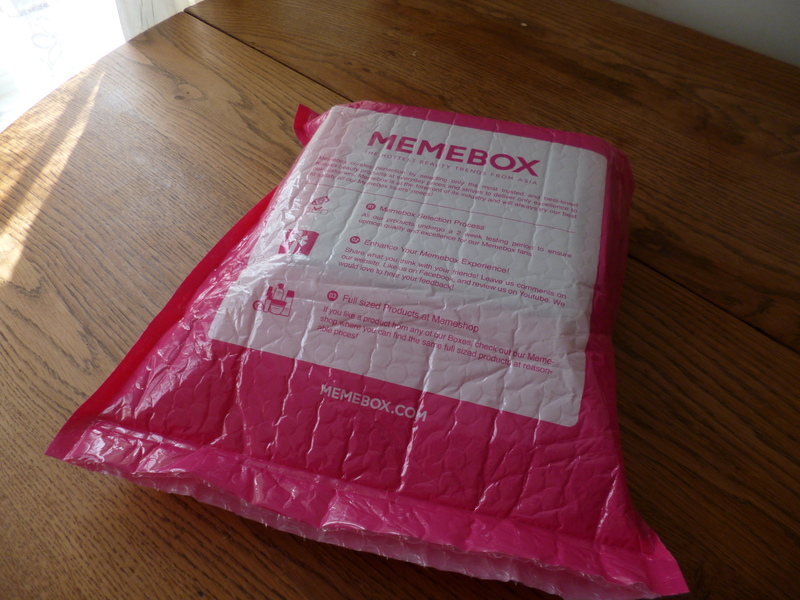 The Memebox came in its own branded pink padded envelope. Inside was an adorable pink square box- very reusable. The box contents came neatly and securely packed, with a Menu/Tips and Tricks card. This I was very glad of as, er, I can’t read Korean. First up was the Illi Total Ageing Care Cleansing Kit. Now, I’ve complained about sachets in previous box review posts, but I am not complaining here. Not only did they give me a total of six sachets (3 of each product in the kit), they also gave me a deluxe sample size of each product in a sweet box. I really like the packaging on this- the clean black and white of the bottles, the simple papery box. The products themselves are a cleansing oil and a foaming wash for your face and neck. Their scent is very light and delicately fragrant, and they leave your skin feeling super duper clean and not remotely dry, though not super moisturised either. I used mine after a shower, but you could of course use them during. First, massage the oil all over your skin and rinse off, then lather up with the foaming wash, rinse and pat dry. In terms of sample size, you probably have 10 days-2 weeks worth here, which is a great sample size really. 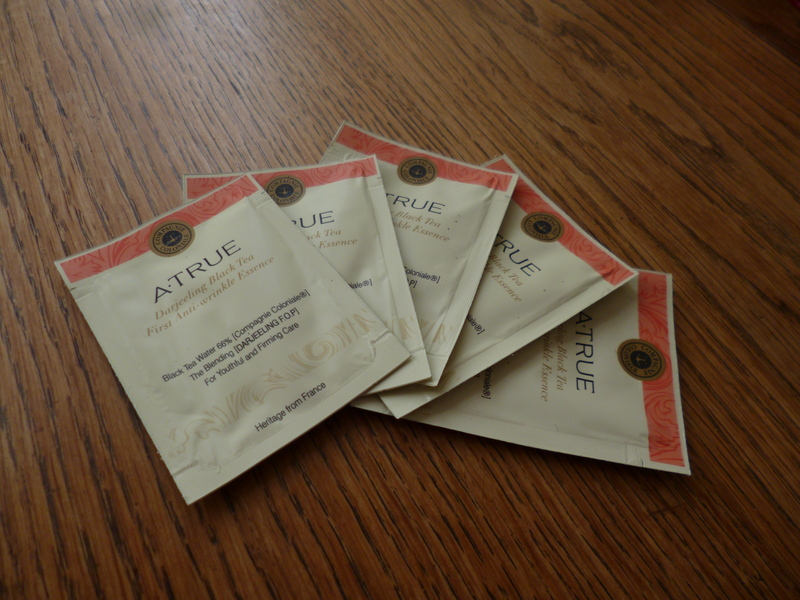 Each sachet contains about 1.5-2 uses worth in it, so you can either be decadent or frugal with it. I liked this product- it’s perfect for daily cleansing and is very gentle, yet pampering. The only other product in the box was this A.True tin… but inside was a treasure trove of different A.True products to try. The tin is a lovely size and obviously reusable- mine is currently full of cotton buds. A.True make their cosmetics with Darjeeling black tea from a company called Compagnie Colonial. It’s the oldest tea ‘brand’ in the world. 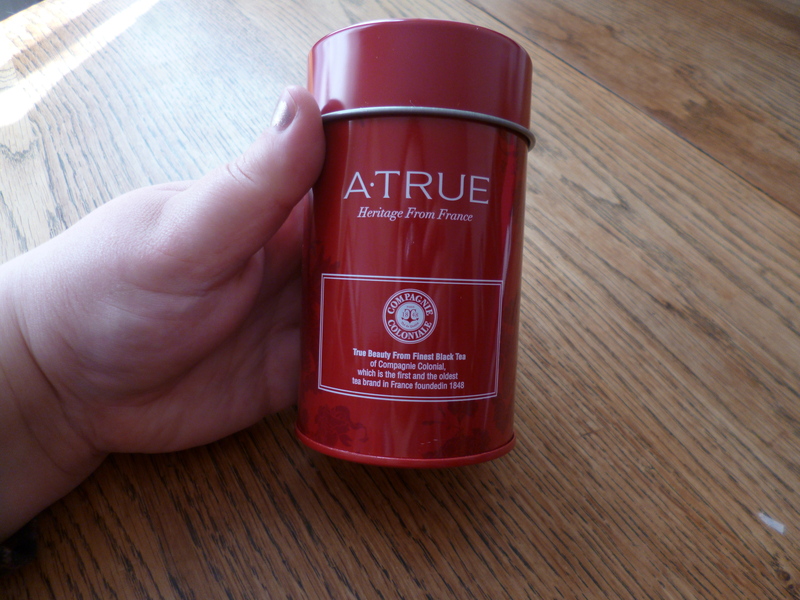 The first product in the tin was this ‘Real Black Tea True Active Essence’, which is a toner. It smells scrummy, as all the A.True products do- of aromatic tea and a fruity fragrance not unlike apricot. It left my skin feeling really fresh and soft. Next we have the ‘First Anti-wrinkle Essence’, which is a serum product. Each sachet has two uses in it really, and I wasn’t being cheap with it, either. It’s a lovely serum, with that same mild and sweet fragrance. It’s easily absorbed into the skin, and just lovely. I’ve tried lots of serums in my time, and this is one of my favourites, because it is so gentle, yet it makes me feel very pampered. 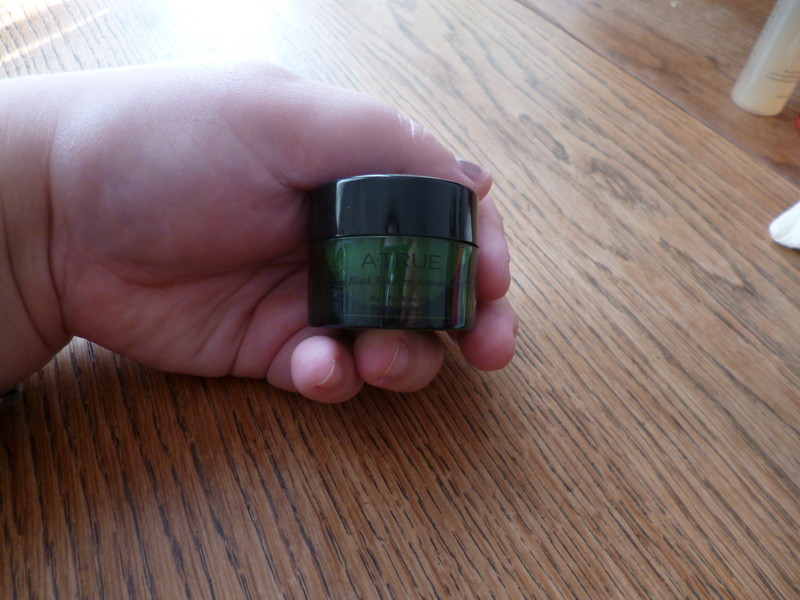 The final ‘product’ in the tin completes the skin care routine- a moisturiser. ‘First Anti-wrinkle cream’ is a light facial cream designed, as with the other products, to rejuvenate your skin and gently moisturise. Again, it was super gentle and had a lovely formula. 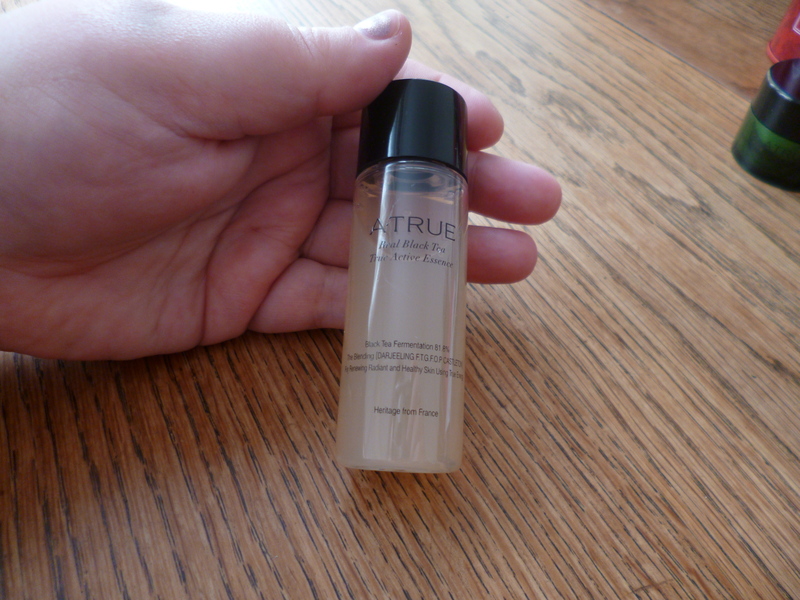 I probably liked it least of the products I tried, but simply because it didn’t wow me like the serum and toner did. It’s a nice moisturiser, but it won’t stop traffic. The final touch in the tin was two bags of Earl Grey tea in a lovely little drawstring bag, to finish off a good pamper session. Earl Grey happens to be my favourite. I really liked all the products. 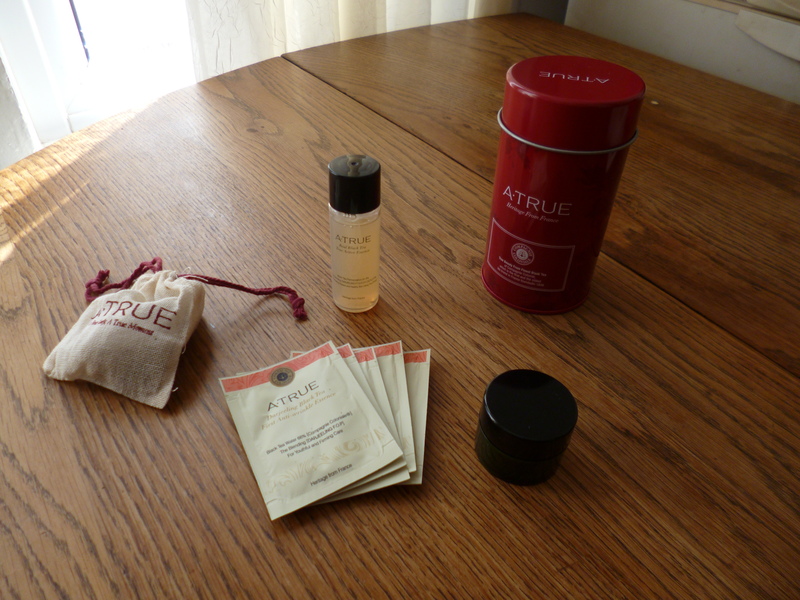 The tea theme in the A.True cosmetics was charming, and the cleansers were lovely too. I also really liked that the box provided a complete skin care regimen for you to try. It had everything to get you from getting up (a cup of tea), washing your face (the Illi cleansers), toning (the True Active Essence), concentrated serum (First Anti-Wrinkle Essence) and finally moisturising (First Anti-Wrinkle Cream). I took it away on holiday, and it was just perfect for that. The same sizes were pretty darn generous too (a minimum of 10 days supply). On an outlay of £7.90, the contents of this Memebox Mini are easily worth twice the box price, nearly thrice. This is fantastic return, and this box was truly a pleasure. It’s lovely to look at, the products were all completely new to me, and they were all lovely. To be honest, I find the Memebox experience a little bewildering, as the website is quite hectic, and they don’t archive sold out/past boxes. Combine that with the sheer number of boxes that are released every week, and it’s hard to know where to start. If another Memebox Mini came out, I would order it in a heartbeat, and I would love to try more of their range, but it will take more investigation than I currently have time for before I do. Let me know if you try Memebox, and what you think! I love Indian food. I used to be very suspicious of it (I have an intolerance to garlic, and have therefore had some very bad experiences) but got turned back on to it via the delicious fare at a friend’s wedding last year. ‘Indian’ food has long been a staple favourite in Britain, since the days of Empire, and today this persists in our love of the take away curry, as well as the homemade option. However, this neon food is a long way from the traditional flavours it was inspired by, and this is perhaps truest for the tango-orange gel that is called Mango Chutney. My father loves a good Indian, and since it was his birthday last month, I whipped him up a batch of curry-changing sweet goodness in the form of a more traditional Mango Chutney. And, spoiler alert: it’s not bright orange. First things first, get prepped. Wash up 4-6 jars to make sure they are super clean, then pop them in the oven at 100-130c to dry and sterilise. You can also put them through the dishwasher, but I recommend sticking them in the oven anyway, as hot food needs to go in hot jars, or the jar could shatter. You also need a decent sized saucepan, and ideally to prep your fruit and veg in advance. The chilli needs to be deseeded and chopped finely. The onion needs to be chopped fairly finely. The ginger needs to be grated or very finely chopped. I bought my mango frozen because I am incredibly lazy, so all I had to do was defrost it, but if you are using fresh you need to chop your mango into 1cm cubes. You can do this as you go, but it’s much easier to get ahead. Right, now to the cooking part- heat the vinegar and sugars to combine, and add the spices, chilli and salt. Bring up to the boil, and boil for 10 minutes. Add everything else except the mango and boil for further 10-15 minutes. Finally, add your mango and reduce the heat to a simmer for a further 15 minutes. Depending on how chunky you want the finished product, you can use a potato masher or your spoon to crush the mango into the mixture as it cooks. Remove your jars from the oven and take the chutney off of the heat. Spoon the mixture into the jars and, ensuring the screw top is clean of drips, screw on the lids until closed, but not sealed. Allow to cool fully before tightening the top of the jar up. The finished product is dark, spicy and sweet. You can play with the chilli content and spice balance if you know you like things hot, and add a clove of garlic or more onion if you want more punch, but this chutney is sweet and complex, and goes well not only with curries, but with meats and cheeses. … before we even begin, I want to make it clear that NO, the secret ingredient is NOT anything dubious. Or at least illegal. I developed my Bare Cupboard Brownies several years ago when I was looking to create a super chocolatey hit with store cupboard essentials. I wanted a treat I could turn out quickly for friends or guests without last minute dashes to the shops for extra ingredients, which meant extra costs. However, some times you have a different set of ingredients in, including the dark chocolate that the Bare Cupboard Brownies lack, but are short on other staples, like eggs. When I reached for my trusty old recipe, I found myself in the lurch, with just one egg instead of the required two. And since I had dark chocolate in the house, and I’d had an idea at creating a baked good with this ‘secret’ ingredient, I figured, why not give it a go? This is my take on making brownies with mayonnaise. Yes. Mayonnaise. Seriously, mayonnaise. It’s basically egg and oil, the same as is used in many a muffin recipe. Its a fridge staple in most homes, and the fat content replaces butter in this recipe. Many would say that this makes these brownies a healthier option, but I’m not buying. They’re still packed to the gills with chocolate and sugar, after all. Even so, they are a tasty treat that, like their Bare Cupboard cousins, satisfy without the need of specialist ingredients. Maybe these should be called the Bare Fridge Brownies? 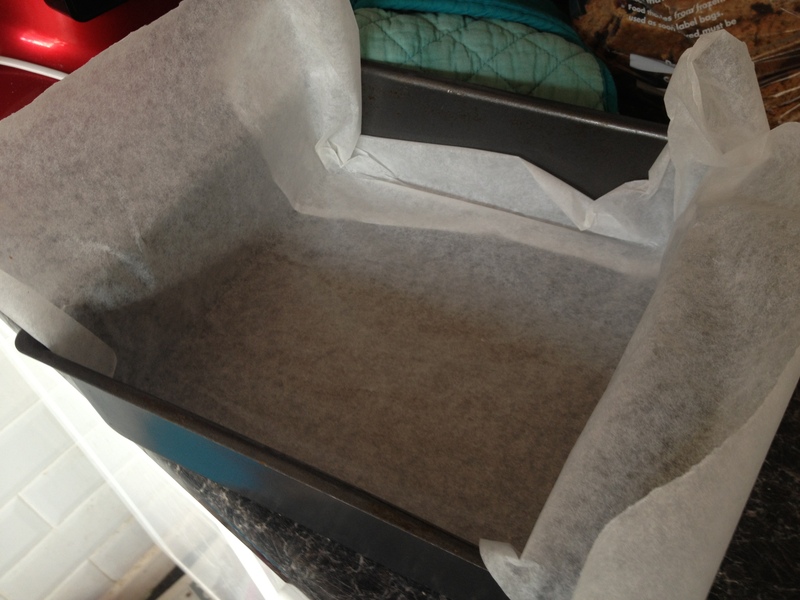 Line a 9×9 square cake tin with baking parchment, and preheat your oven to 180 c.
If you are making your buttermilk yourself, add the milk to the vinegar/juice now and let it sit for approximately five minutes whilst you get on with the next step. 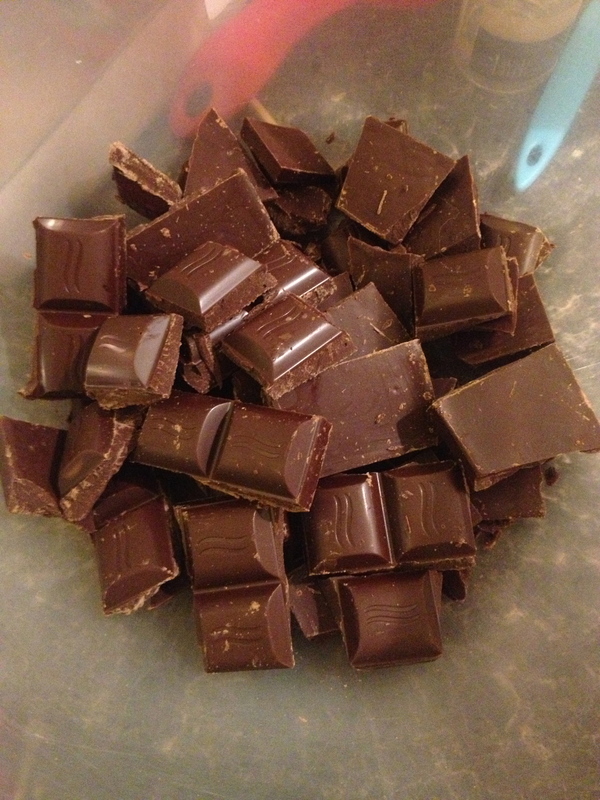 Melt the chocolate in a bain marie or the microwave, taking care not to burn it. Once melted, allow it to cool a little, and then mix the sugars into it until a uniform paste comes together. Add the vanilla and buttermilk and mix to loosen the paste. Beat in the egg until the mixture is even. Mix through the mayonnaise until just combined and glossy. Add the dry ingredients all at once, and beat together into a perfect smooth batter. Pour into your tin and spread into the corners. 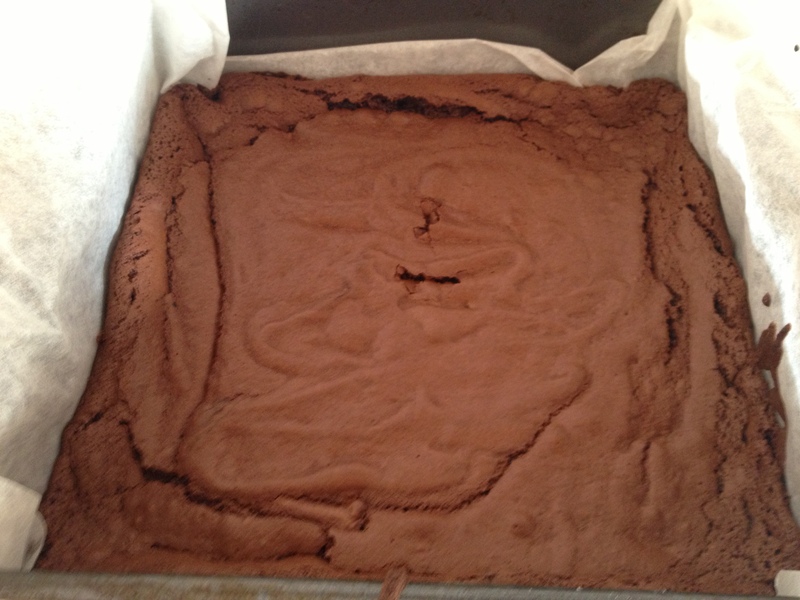 Bake the brownies for 25 minutes, or until a crisp top yields to damp crumbs when skewered. Cool in the tin, and chop into bars or squares when almost cool. These beauties have a different consistency to their Bare Cupboard cousins, as the real chocolate content gives the traditional flaky top to the finished product. Don’t ask me why, I’m a Domestic Demigoddess, not a scientist. However, even without the butter to make them moist, the oil content of the mayo and moisture and richness from the eggs and the buttermilk leaves them moist and fudgey in the middle. These are a great cheat if you’re down to your last egg and need to whip something up, and no one will ever twig at the secret ingredient… unless they read this blog, that is. Enjoy, and let me know how you got on! When it comes to festive fare, no one can say no to a tipsy truffle. Homemade, these goodies will wow your friends, and be the perfect end to any meal. They aren’t rocket science to make either. These little lovelies make wonderful gifts, a pretty special addition to any Yuletide buffet, and, since you are making them yourself, can be flavoured to your taste. If you have a favourite tipple, chances are it’ll go with chocolate. And if you are teetotal or might be feeding these to youngsters, these are easily flavoured with extracts including vanilla, mint, orange or lemon. Go wild! I must note that this recipe works best in terms of texture with dark chocolate. However, you can use this recipe with white or milk chocolate too- the finish is just softer the further away from dark you go. If you go for white, your truffles won’t be as pretty, but they are so tasty I think my friends would revolt if I stopped making them. 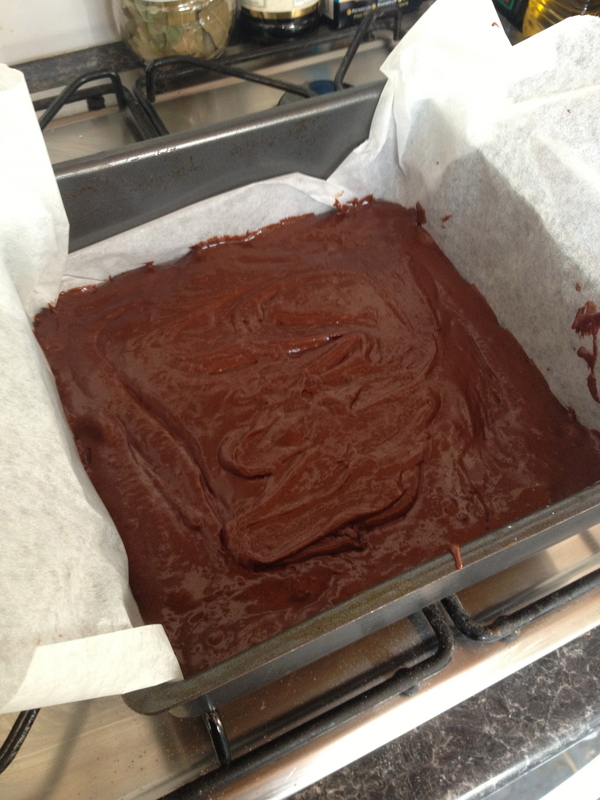 The ganache recipe works great to fill chocolate moulds too, and can be spread on cakes as frosting. Cocoa powder, non pareil, chopped nuts etc to coat. 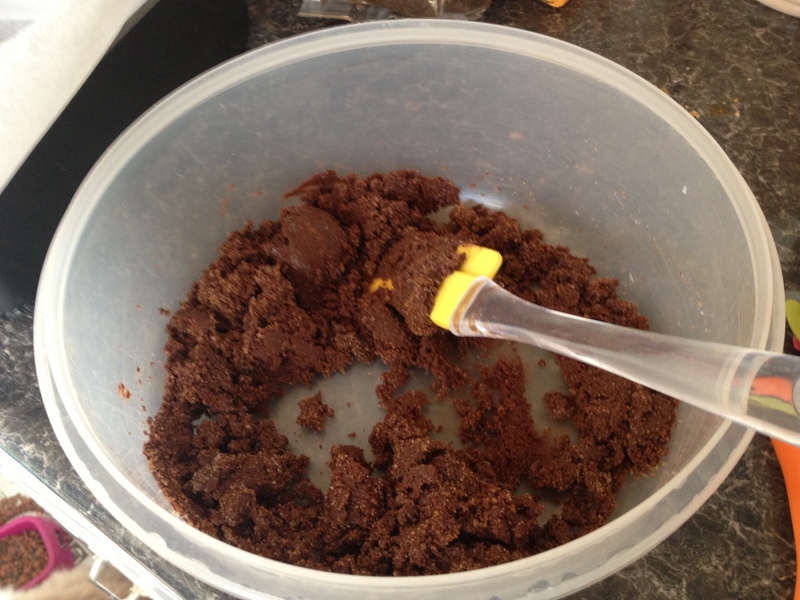 Break the chocolate into chunks in a mixing bowl. In a milk pan, melt the butter into the double cream and bring up to boil. The instant it boils, take it off the heat and pour over the chocolate chunks. Leave to melt for 3-5 minutes. Beat the chocolate and cream together into a uniform mixture. Air at this stage will help to thicken the mix. Pour out into a piping bag and refrigerate overnight. This mix will keep in the fridge for a week or so if needs be. When you are ready to make your truffles, line a baking sheet or food storage box with parchment. Get your coatings ready- pour whatever you are using out into some bowls.If you are intending to dip your truffles in chocolate, melt a further 200g of your chosen choccie. 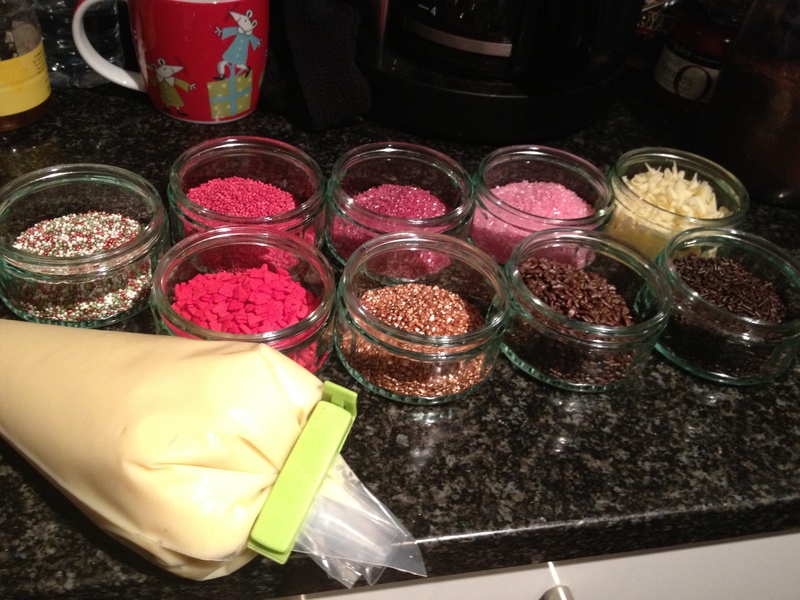 Pipe blobs of the ganache into the toppings and roll around and shape with your fingers or a fork. If you are dipping, pipe out onto a fork and use this to dip the truffles in. N.B if your ganache gets too warm and runny, pop it back in the fridge for an hour or so to firm up again. Lay out the truffles on the parchment, and place somewhere very cool, or in the fridge to set. Alas, I haven’t got any pictures of the finished product to show you, as they vanished in about 5 seconds flat. But trust me, they were camp, sparkly, and delicious. Full on festively ridiculous, even. I flavoured mine with Bailey’s (milk), Cointreau (dark) and Ginger Liqueur (white) but as afore mentioned, you can pretty much flavour these to your taste. Bright, light flavours like citrus-y Limoncello go great with white, a robust Whisky will go with pretty much anything, and why not go a little wilder with Vodka, or Port, with dark? I posted this recipe last year, but it’s so good, I figured it needed a repost for this year’s Recipe Advent Calendar. I mean, I am making this juicy, ruby delight again this year, so why not? Cranberry and Port mincemeat blends have become very popular in recent years, to the point where pre made mixes have become available in some supermarkets. I think this is wonderful, and great help for those who simply don’t have time to make their own but still want to enjoy festive goodies. I think, however, the foodie community can take the idea further. Swap out liquors for your favourites, providing they have a similar consistency (I don’t recommend cream liqueurs for example, but who knows, you could make it work!). Play with the spices- why not try a fruit pink pepper, or fragrant cardamom? Be brave and try new fruit combinations. And of course, share, dears. I do so like to chat cooking. I don’t care that it’s only just December. I don’t care that they turned up when we were barely over halloween. I’ve been quashing down my festive feelings for months, and now, I don’t have to any more. Why? Because fresh cranberries are in the shops. And that means it’s Christmastime. 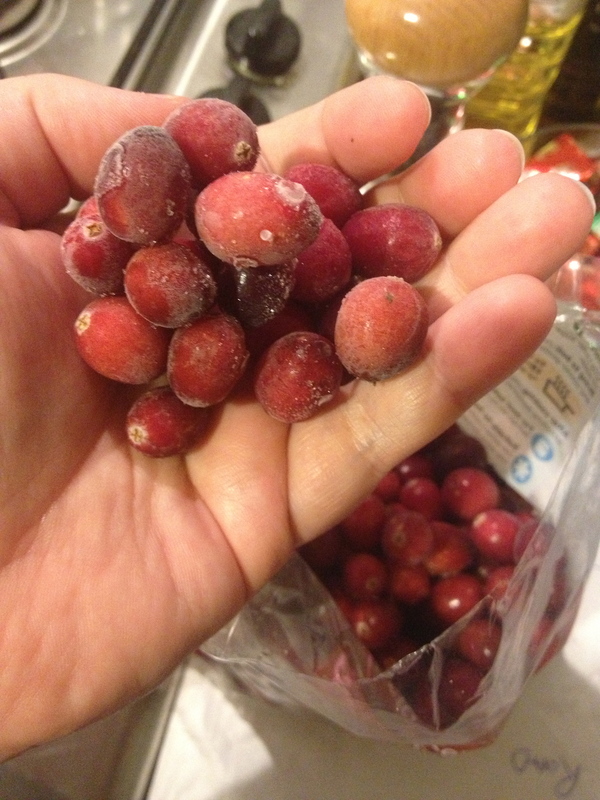 I love cranberries, and yes, I know they aren’t particularly british, but who cares? They’re obscenely red, super delicious and pretty darn good for you, until you cover them in sugar. They’re a Christmas staple in my house, from sweet to savoury dishes throughout the season. The colour alone is reason enough to have them in your kitchen and on your plate, which makes this recipe perfect for the second entry in my Recipe Advent Calendar. Last year I shared my cranberry mincemeat recipe, which is awesome in pies, tarts, cheesecakes and crumbles, but if theres one thing you NEED to make with cranberries this season, and then duly cover everything with, it’s cranberry sauce. I don’t care that it is readily available in the shops, homemade tastes so much better and is too easy for words. You’d even find time to whip it up while the turkey’s in on Christmas Day. So no excuses! Spoons at the ready? Let’s go! 1 tsp mixed spice- make sure yours contains cloves. 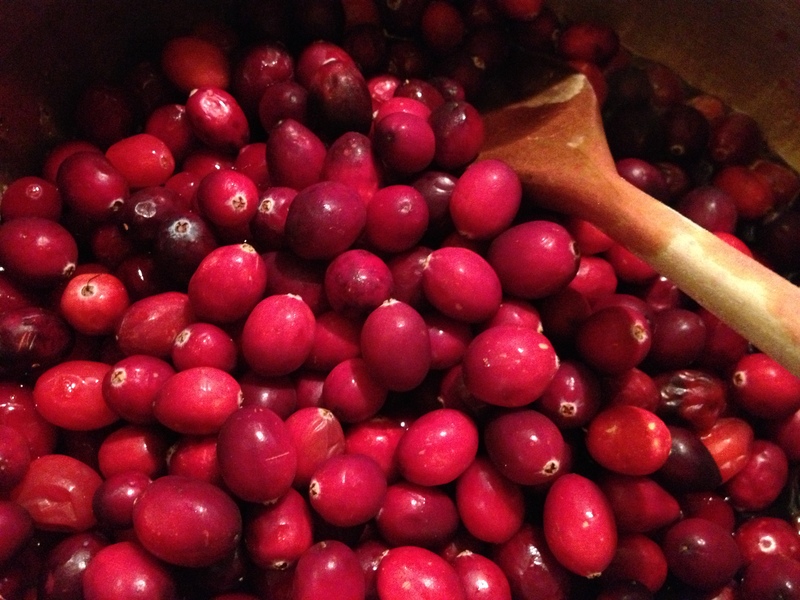 Pop your cranberries in the pan with the water. If they are frozen, give them a few minutes until they begin to thaw before moving on to the next step. Add in the brandy, spice and sugar and mix through. Let it cook on a simmer until the berries are really popping, stirring occasionally. Beat the mixture to help those berries burst and release all their goodness and remove from the heat. 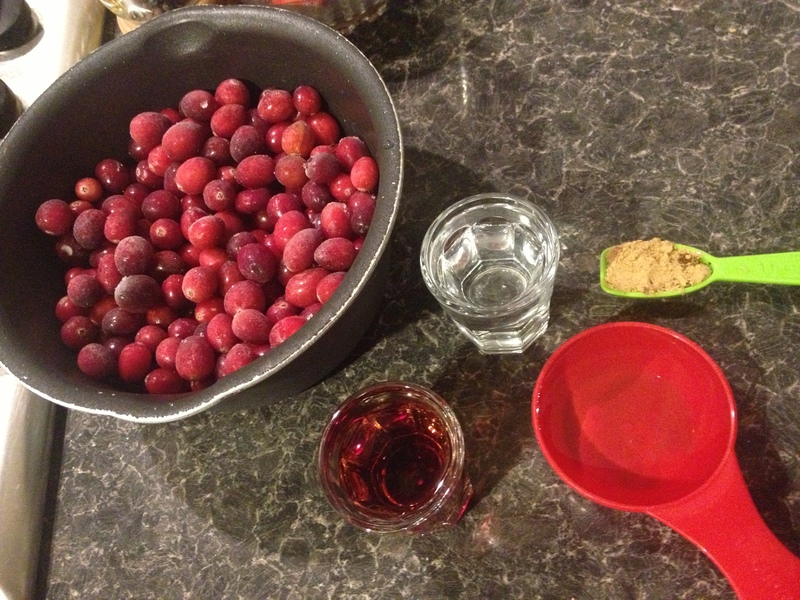 Let sit for a minute an and add the cointreau just before you decant into jars or a bowl. If you want to cook off all the alcohol, then you can cook the sauce for another few minutes instead. If you need to store, pot up in clear warm jars as for jam. Otherwise you can as easily keep in a bowl in the fridge once cooled and set. Seriously, this recipe is just too simple. Cranberries are PACKED with pectin, making the setting process a doodle. They’re some of the easiest fruits to work with when it comes to making jams and jellies because of this. If you want a really simple sauce with no trace of alcohol, just leave it out. You can add some orange juice or extra water to make up for loss of liquid. Also, this sauce is still pretty tart, but if you want it tarter, leave out 50g of the sugar. Whatever you do, the result is super tasty, and the reddest red that ever did red. Spread this sauce in sandwiches with brie or poultry, stir into gravies and soups for flavour or simple enjoy as is with roast dinners or cold meats and cheeses. Ugh, my mouth is watering. I pulled together this recipe because I had various things I wanted to use up- mainly a packet of egg noodles and some roast turkey. The result was a scrumptious, satisfying and delightfully colourful meal. 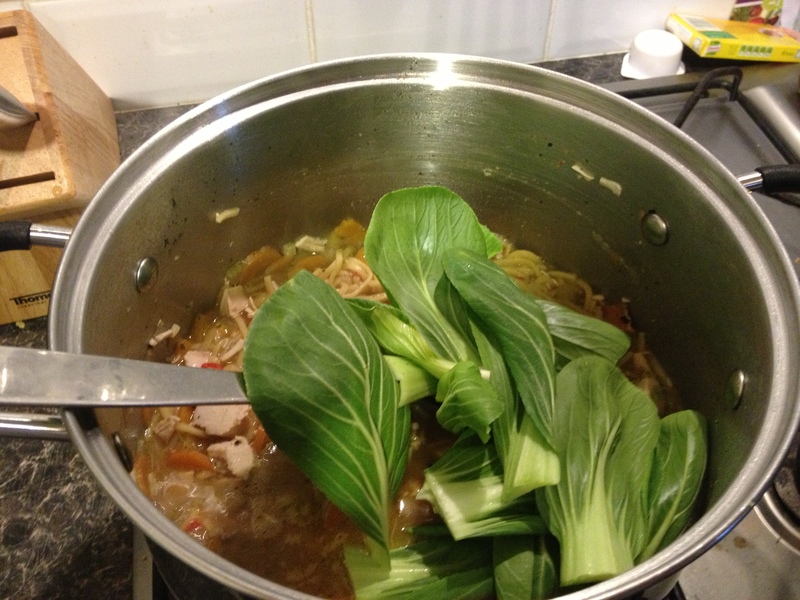 Chop up your veg- finely chop the chillies and celery, thinly slice your carrots and trim your pak choi. You want everything to cook fairly quickly. In a good sized sauce pan, fry off the celery and chillies for a few minutes then quickly fry off the spices. Add your stock and carrots and bring to the boil. Cook for 5-8 minutes until carrots are beginning to soften. 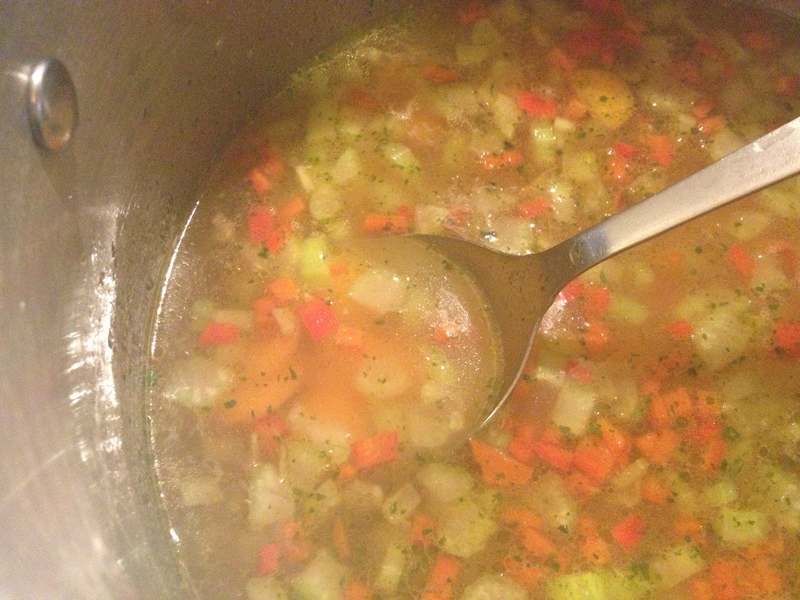 Add your noodles and spices and season the broth to taste. Give them a couple of minutes cooking time before adding your cooked turkey and, if you are using them, the turkey cooking juices. Allow another couple of minutes for the broth to heat the turkey and the noodles to finish cooking, check your seasoning is right, then add your pak choi to wilt down. This will take about a minute or two. Serve as is, or with a sprinkle of freshly chopped spring onions. This meal is quick to pull together, so perfect for the busy season we are entering. It’s warming enough to brighten up a winters day, spicy enough to chase away a cold, yet fresh and light enough to make a lovely springtime meal. However, since we are racing towards ‘the holiday season’, this is a perfect way to use up any leftovers. This also works wonders with chicken or other poultry, and you can always make your own stock from the carcass to substitute in for the veg for a more meaty tasting soup. This is a very filling meal, and light on the liquid when it is cooked. If you like a lot of broth, or are serving this is the summer time, I would use one and half times, or twice the recommended stock.